What drives market share? Customer loyalty. Great brands know how to connect deeply with customers, and captivate their fan base by consistently, and sometimes ingeniously, balancing the triumvirate of Q C D (quality, cost, delivery). That extends not only to the product or service itself, but to customer service processes and attitudes that build loyalty. Imagine this: after much hinting, hoping, and pining, your child receives a longed-for toy this holiday season, but soon loses a precious piece. Or imagine that he finally saved up enough money to buy a toy he’s dreamed of, only to find it’s no longer available. Whose problem is it? If LEGO is the toymaker, it’s a safe bet they’ll take it on as theirs. Stories of LEGO’s service abound. 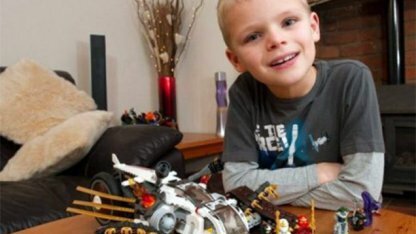 Why Lego Is Awesome tells of Luka, a 7-year-old who lost the minifigure “Jay ZX” from his Ninjago Ultra Sonic Raider Set while on a trip, despite his dad’s warning to leave the set at home. After receiving Luka’s plaintive letter, LEGO not only replaced Jay, they threw in something extra and wrote this in their reply: “Just remember what Sensei Wu said: keep your minifigures protected like the Weapons of Spinjitzu! And of course, always listen to your dad.” Then there’s the video gone viral (now approaching 1.8 million hits on youtube)—Why LEGO Is the BEST Company in the World. Last year, an 11-year-old boy with Asperger’s who’d saved his money for two years to buy an Emerald Night train set was sorely disappointed when he discovered it had been discontinued. LEGO amazed the boy and his family by finding and sending one to him. The video could bring a tear to your eye. Seems LEGO actually cares about customers, and that engenders not just loyalty but fan-generated publicity. Even in a more ordinary story told recently in Forbes, touting how easily the writer’s daughter was able to obtain pieces missing from a LEGO kit they’d bought, the company’s special connection with customers shines through. The letter accompanying the replacement parts apologizes, explains how the company works to assure that nothing ever goes wrong, and then states: “We’d like to get even better at catching any faulty LEGO sets, though, so I’m passing your comments on to the team in charge of testing. It’ll help them make sure this doesn’t happen again.” They don’t just do the right thing; they also involve their customer—this child—and personally engage her in how they are fixing the problem. LEGO’s customer service is not just the result of some good hires, and it doesn’t begin or end in that department—it takes a system that drives it. Ultimately customers are swayed by the net effect of all the strategic and daily activities that occur across your entire value stream. When an operation undergoes a lean transformation, for example, but those that precede and follow it do not, the payoff to both company and customer is limited or negated. Because improvement usually begins in “pockets”—a few operations, a couple of manufacturing lines, a department or two—the big challenge is to keep advancing from those starting points and drive systemic change across the entire enterprise. The support arm of Cisco, the world’s leading manufacturer of networking equipment, won the 2013 Gartner Gold Award for customer service optimization. In the last few years, the company has faced plenty of challenges. They’ve had to sell or shut down failing business units (remember the Flip camera? Linksys home routers, now owned by Belkin?). They’ve laid off more than 12,000 workers and struggled to find a viable growth strategy. Despite efforts to diversify, networking equipment still accounts for more than 60% of revenue. And in that market, demand for low-end products is declining, and competition in the high-end, advanced tools market is on the rise. In this complex industry, technically astute customers depend on online support. After customer satisfaction ratings began to stagnate several years ago, Cisco decided to take a hard look at what was actually occurring. In an interview with Gartner, Glenn Schleicher, a senior director, says that streamlining complex operations and support functions is their biggest challenge. Having acquired almost 60 companies since 2011, the essential problem, especially as the support experience is becoming more critical to customer loyalty, is to manage that complexity internally—not pass it on to customers. integrate social wisdom from customers into the support equation. They used a three-part formula to address the problem, blending customer consultation, user-centered design, and web analytics. In quarterly studies, they ask customers to perform the top ten online tasks, then score the results and analyze them in detail to reveal pain points—where people struggle. The main lesson they’ve learned: It’s easier to change your process, your site, than to change your user’s behavior. That’s customer-centric thinking. And as a result of the changes they’ve made, customers were able to address 390,000 issues per month last year, deflecting 84 percent of support cases, bolstering satisfaction, and saving Cisco millions of dollars in call center costs in the process. Transforming work using lean principles means developing the capability of the whole organization (production and support) to respond flexibly, quickly, reliably, and effectively to market needs and customers. Reduce and stabilize response times to customers. That involves optimizing service processes end to end, including addressing the root causes of “failure demand” (demand for service caused by mistakes or other failures). The best way to see those end-to-end processes is through value stream mapping. Engage teams in managing flow, solving problems, and creating standard work. Since customer service often involves work that’s hard to see, it’s important to help teams get traction by making flow visual. Align services with strategic objectives through policy deployment of specific KPI’s, performance management at the team level, and regular reviews of progress. Implement effective project management approaches. A3’s provide a particularly effective way to stay focused on short-term projects. End-to-end value streams encompass not only production operations but administrative and support functions as well. If you’re honing your manufacturing processes but neglecting customer service, you’re not getting the impact your organization and your customers deserve. Q. Do you have any research that shows ROI on Lean/Six Sigma implementation? A. We wish there were an easy answer to this question, a thumbnail rule that would apply across companies and industries. Unfortunately, that’s not exactly the case. The major impacts of lean are the elimination of waste, reduction of lead time, freeing up of capital, and creation of “free” capacity. Brian Maskell and others in lean accounting circles have worked to clarify the nature of these benefits, and how to calculate them, for many years. And these gains in turn yield many related benefits, like responsiveness, customer loyalty and new customers, higher quality and value, reduced overhead activities and costs, and a more satisfied, engaged staff. Richard Schonberger focuses on the impact on inventory turns, as shrinking inventories that result from lean improvements put cash in the bank. But he also points out that it can be difficult to tie these gains to financial results. Attempts by him and other academics to do so have long been foiled. Lean is often an approach used by companies and in industries that are struggling to survive. So profit improvement over time is a moving target, and may not be borne out depending on the state of the industry, he says. Any calculation of ROI would have to take into account what you then do with new capacity, cash, capabilities. In most cases the point is to reinvest those resources to grow, and that growth becomes a big factor in ROI. As quality improves, market share can jump and sales increase. Of course, waste reduction usually yields cost reduction as well, but focusing exclusively on cost reduction can work at cross-purposes to achieving the deep long-term benefits of lean transformation. The results we’ve seen, and Art Byrne has corroborated, go something like this—at a minimum in manufacturing: lead time cut from weeks to days; inventory turns doubled in two years, quadrupled in four; annual productivity gains of 15-20%; 50% reduction in defects per year; 50% reduction in floor space in two years; 4-8% improvement in gross margins; working capital as a percentage of sales halved; and increased growth (market share). In service you might expect to see results like these: response times cut by 98%; AR cut by days or weeks; 25-85% cuts in administrative process lead times. For more examples, see the case study examples on our website. Lean production means continually eliminating waste and perfecting processes so that you can maximize value for customers and employees, and in the largest sense, society as well. As social, financial, and regulatory pressures to eliminate environmental waste increase, “zero waste” strategies are moving higher on business operations priority lists.